Following the short speech, RM announced H.E.R. as the winner for her self-titled EP, with V handing the trophy to the 21-year-old American singer. 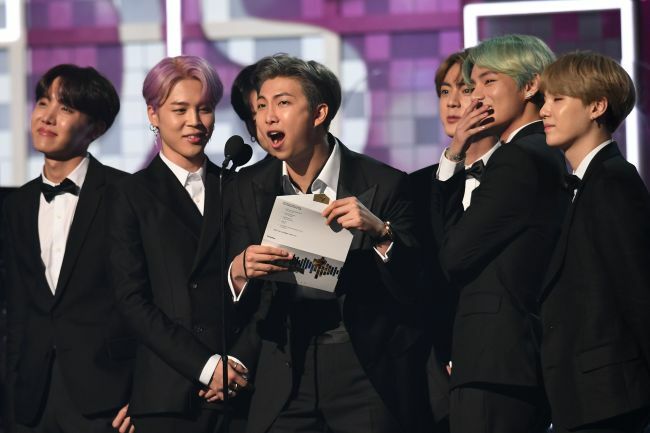 Earlier in the show, BTS could be spotted singing along to H.E.R.’s performance on stage.